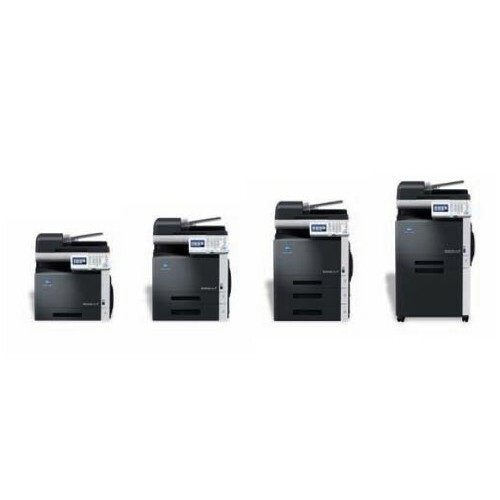 Konica-Minolta have added a new device to their A4 color range with the C35. This machine produces at a speed of 30 ppm in monochrome and color. The obvious specificities of the C35 compared to its counterparts in the KM A4 range are of course the reuse of the 360 degree design already seen on KM A3 range with color touchscreen control panel. This devices uses Simitri toner. Konica-Minolta are already boasting of the merits of the new C35 for the corporate market: reduced footprint, the inaudibility of the station and Energy Star & Blue Angel compliance.Soon in DMO.